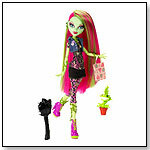 Monster High Venus McFlytrap Doll by MATTEL INC. The Venus McFlytrap doll has a signature style with lots of scary cool details and an ancient monster heritage. Venus McFlytrap grows for a London punk style made more unique with her perennial green hue and vine details. She has been known to use her pollen powers of persuasion to get the other monsters to volunteer for ecological causes. She comes with her pet, a Venus Flytrap (of course. ), and diary. — As of 8/27/2012, this product had 4.5 out of 5 stars from 16 reviews on Amazon.com. Pros: Lots of accessories; has eco-friendly message. Cons: One reviewer said that the doll is fragile and the legs snapped off. 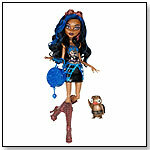 Monster High Robecca Steam Doll by MATTEL INC. The Robecca Steam doll has a signature style with lots of scary cool details and an ancient monster heritage. Her internal clock runs a bit slow, but she makes up for it with a steampunk style that suits her metallic glow. She wears a dress that showcases her seams and comes with her pet mechanical penguin and diary. — As of 8/27/2012, this product had 4.7 out of 5 stars from 15 reviews on Amazon.com. Pros: Lots of details; unique design. 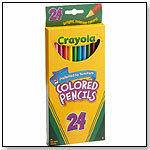 Twenty-four nontoxic Crayola colored pencils, each pre-sharpened and 7 inches long. The colors cover the chart: standards such as black, white, yellow, and green, plus all the intermediates - aqua green, jade green, violet, mahogany, peach, magenta, and more. 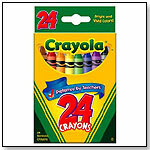 All Crayola© colored pencils are made from reforested wood. — As of 8.03.2010, this product had 5 out of 5 stars from 4 reviews on Amazon.com and was #34 in the top 100 best-selling toys and games. PROS: Durable, with a variety of colors. CONS: None listed. Lloyd ZX is the legendary green ninja, destined to win the great battle between good and evil and bring peace once again to the land of Ninjago. But before he can fulfil his destiny, his fellow ninjas must help him master the art of Spinjitzu and defeat the evil Serpentine snake tribes. Use the 4 battle cards included to influence the outcome. Set includes minifigure, gold spinner, green crown, LEGO bricks, golden weapon, 2 regular weapons, character card and 4 battle cards. Brilliant Basics Baby's First Blocks by FISHER-PRICE INC. Ten bright blocks are ready for baby to drop into the open bucket or through the shape-sorting lid. This toy is designed for developing eye-hand coordination and other early skills. Then children can move on to sorting, stacking and learning about identifying and matching shapes. 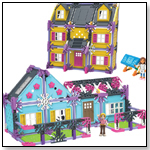 This set includes a plastic shape-sorting box with a handle and ten colorful blocks. 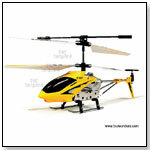 Awards: 1995 Oppenheim Toy Portfolio Blue Chip Classic Award Winner. 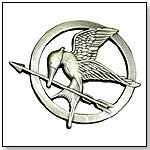 — As of 05/21/2012 this product had 4.1 out of 5 stars from 314 reviews on Amazon.com. 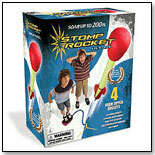 PROS: Basic, durable baby toy that keeps children entertained. CONS: Lid does not snap on; May contain carcinogens. Fisher-Price Laugh & Learn Click 'n Learn Remote by FISHER-PRICE INC. The Laugh and Learn Click 'n Learn Remote is baby's very own remote with so many buttons, songs and learning fun. With realistic styling and a light at the top of the remote, baby will delight in being in control of all the sounds and music. 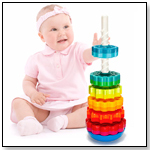 Baby can click away to learn about numbers, opposites, colors, greetings and first words. Turn the volume up and down or switch channels to hear a new station. With four songs and lots of realistic sound effects, baby will love being in control of their very own learning remote. Defeat the Great Devourer in the epic battle between good versus evil. The Great Devourer has been awakened and threatens to devour the world of Ninjago. 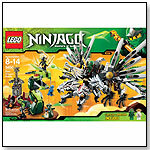 Can the legendary green ninja, riding the awesome 4-headed Ultra Dragon, overpower this evil adversary? Can Lord Garmadon harness the power of the 4 golden weapons of Spinjitzu to destroy the mighty snake and what about Sensei Wu? Can Jay defeat the evil snake Generals Acidicus, Skalidor and snake soldier Chokun to release his master from the impenetrable snake prison? 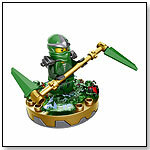 Includes 7 minifigures: Lloyd ZX, Jay ZX, Sensei Wu, Lord Garmadon, Acidicus, Skalidor and Chokun. Set features 4-headed Ultra Dragon, The Great Devourer, snake prison, Hypnobrai fang blade with blue anti-venom capsule, 4 golden weapons and 7 regular weapons. — As of 07/16/2012 this product had 4.4 out of 5 stars from 5 reviews on Amazon.com. Pros: Very large set with many pieces; dragon's jaw can open and close. Cons: One user said that when they tried to play with the product after it was built, the blocks fell apart. 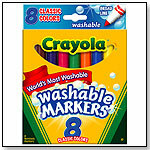 Favorite colors and easy washability make these markers a classroom favorite. Easily washes off skin and clothing. Water-based ink. 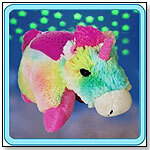 Pillow Pet Dream Lites turns darkened rooms into a starry sky instantly. Simply press the button it projects a starry sky on the ceiling and walls. Creates a magical and tranquil environment that helps kids ease into a restful sleep. Built in timer shuts off after 20 minutes. Folds up into a pet or opens to lay flat. All the DreamLites come with 4 light options steady blue, amber, or green and the 4th is all three colors that transition every 4 seconds continually in a loop. The face of the particular pet is also projected along with the stars. 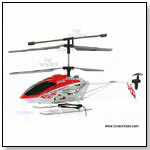 — As of 7/30/2012 this product had 4.1 out of 5 stars from 10 reviews on Amazon.com. Pros: Projects the stars well; good battery life. Cons: Hard plastic tops means they aren't very snuggly.